Few companies in history have ever been as successful and as admired as Google, the company that has transformed the Internet and become an indispensable part of our lives. How has Google done it? Veteran technology reporter Steven Levy was granted unprecedented access to the company, and in this revelatory book he takes readers inside Google headquarters — the Googleplex — to show how Google works. Google is such an integral part of our lives that even Boomers wonder how they once lived without it. Most people don’t go a day without having at least one reason to "google" something — and the fact that the company has become a verb underscores its omnipresence in daily life. Yet, it was as recently as 1996 that two Stanford University friends, Larry Page and Sergey Brin, first began working on a better search engine using advanced algorithms. 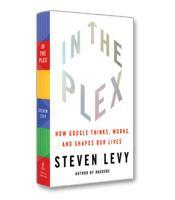 In the Plex, a new book by journalist Steven Levy, tells the story of this remarkable company in all its detail. Levy was granted full access to Google by Page, Brin and former CEO and current Chairman Eric Schmidt. As described by Levy, the early years of Google were dominated by brilliant scientists overcoming the complexities of creating pertinent web searches. One day, for example, somebody now famously typed in "Audrey Fino," seeking an attorney by that name. The result: mostly links to Italian language sites describing in flattering terms the actress Audrey Hepburn (fino means "fine" in Italian). The Audrey Fino search led to a multi-year effort to have the Google search engine recognize names, Levy writes. (With typical detail, Levy also describes a birthday party for Amit Singhal, the principle scientist who tackled the issue. During the birthday party, Singhal received a phone call from a woman who, after wishing him happy birthday, identified herself as Audrey Fino. In truth, the woman was an actress hired by Singhal’s boss — the attorney Audrey Fino was never found). Another technical hurdle was distinguishing the difference between groups of words. Google’s scientists needed to create the algorithms that could distinguish, in the way humans can, the different definitions between New York, New York Times and New York Times Square. Clearly, the search could not be built on the accumulation of the words, since most of the links to the city of New York will have nothing to do with the links to the newspaper. The early breakthroughs were just the beginning steps of a long and tumultuous journey. 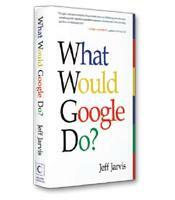 In one chapter, Levy describes the culture of the company, originally summarized with the phrase "Don’t Be Evil." However, Google’s continuous push for technological innovation would draw increasing fire as the company launched such ambitious projects as putting the world’s books on Google and the Google Maps street view option. Other chapters in In the Plex detail the financial triumph of Google’s ads; the road to the IPO; and the troubles of Google in China, where it battled the government and a preferred local competitor. Levy also explores the sometimes difficult relationship between the two founders and Schmidt, the professional CEO brought in by the lead venture capitalists who funded the growth of the company. In April of this year, Page took over as CEO from Schmidt, who was given a new title, Executive Chairman. Google continues to innovate and to push technical and business boundaries. Setbacks continue as well: Google is currently under investigation for allowing rogue pharmacies operating outside the law to advertise on its site. In the Plex is an exhaustive review of the many adventures already lived by this extraordinary company; there are clearly many more adventures to come.